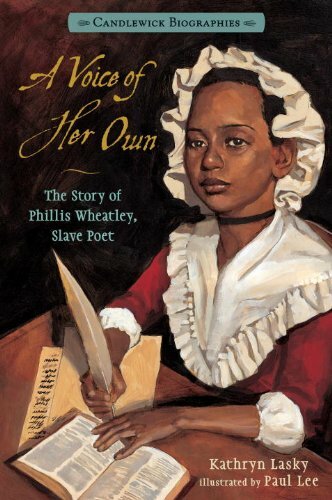 A VOICE OF HER OWN: the story of Phillis Wheatley, Slave Poet by Kathryn Lasky is a picture book biography of Phyllis Wheatley that would be good for grades 3-5. It has more information than the shorter picture book biographies which is important for school projects. Take this sample which brings the reader into the mindset of a slave. Teachers, here’s possible school assignments for Black History Month. Have your students write a play about how a slave would feel on one of these ships .What smells would they encounter? What sounds? What would it feel like to be chained up? Have your students write poems with Phillis Wheatley as the subject. 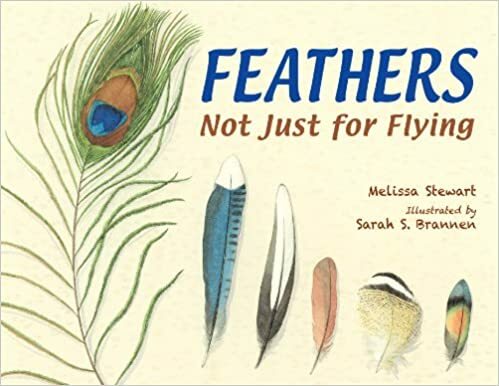 Melissa Stewart is at it again in FEATHERS : NOT JUST FOR FLYING. I can see many uses for this title in the classroom. Teachers can use it to show what the feathers of various bird species look like. Melissa thinks it can be used for grades K-5. (See her teacher's guide.) The break-down of text and illustration is very effective. Let's examine one spread. On the left: "Feathers can warm like a blanket..." Under the illustration on that page is this text box "On cold, damp days a blue jay stays warm by fluffing up its feathers and trapping a laying of warm air next to its skin." A full page illustration of a blue jay appears on the next page. Each spread illustrates the various ways birds use feathers. Melissa explains her process in her author's note. 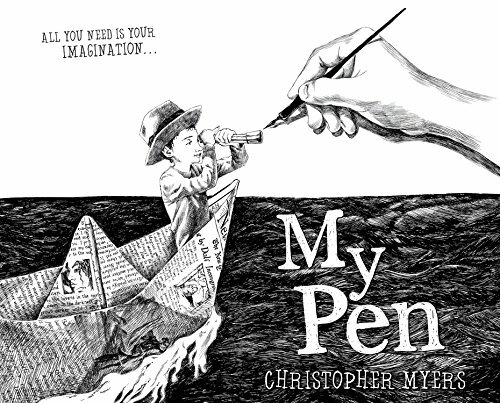 MY PEN by Christopher Myers shows how his pen takes him on journeys. Christopher illustrates books and uses his imagination. Sample: "My pen rides dinosaurs and hides an elephant in a teacup." Christopher wants you to use your pen and see what worlds will come out. Activity: Using crayons picture an imaginary world. It could be anywhere. On another planet. A country you just made up. Draw what people or animals might look like. Does it have lakes or oceans? TROMBONE SHORTY by Troy Andrews is a picture book biography of his growing up in New Orleans and the importance of music in his life. One day he found a broken trombone. Make your own musical instrument like Trombone Shorty did. He made a drum from a 12 pack soda box and used pencils for drumsticks. He used empty soda bottles as wind instruments. Sometimes you have to be at the right place at the right time. Balloons Over Broadway: the True Story of the Puppeteer of Macy’s Parade, written and illustrated by Melissa Sweet, is a picture book biography of Tony Sarg. What was his big moment? Then Macy’s decided to have an annual parade. At first they had live animals but children were frightened. So Tony tried puppets. He had huge puppets made of rubber but many people couldn’t see them. Next Tony tried balloons. It was a success! Teachers grade 3 and up, the author has provided a puppet for your students to make. Sample: "For these beetles, dung is a precious pile of food and drink." Readers will learn that there are three types of dung beetles, each with a special way of eating feces: dwellers, rollers and tunnelers. This book has a fascinating facts section, glossary, and selected bibliography. Locate dung beetles by looking under cow patties or deer droppings but as the author warns, wear gloves, so you don't get sick from the bacteria that live in dung and wash your hands afterwards. 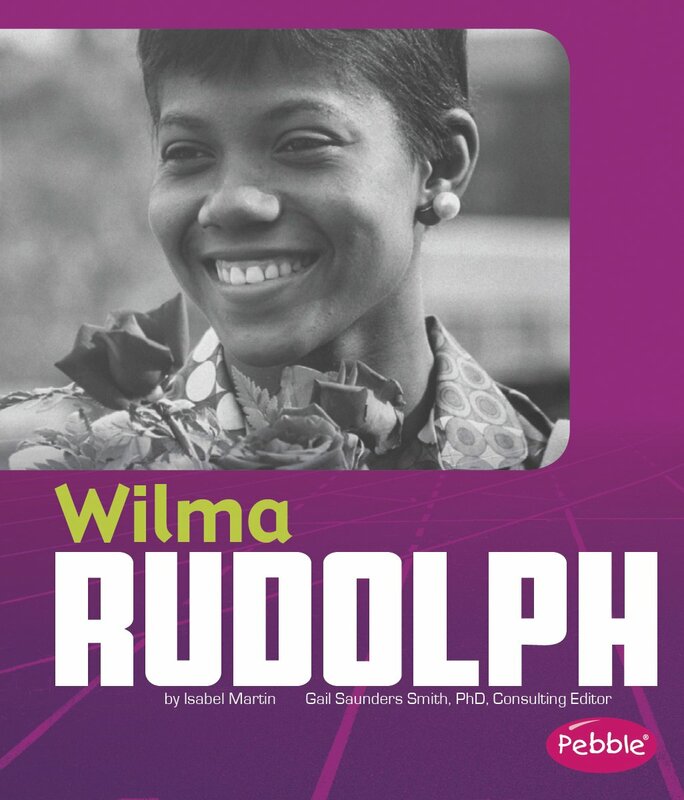 Wilma Rudolph by Isabel Martin is an ideal biography for grades two and three. It has chapter titles: Meet Wilma, Growing Up, Adult Years and Later in Life. The back page gives suggestions for critical thinking using the Common Core. Teachers will like the glossary, suggested titles for further reading and internet sites. Sometimes you can learn about American history through stories of people you may have never heard of. One example is: Searching for Sarah Rector : the Richest Black Girl in America by Tonya Bolden. Because Sarah and her family had a relationship with the Creek Nation, they qualified to receive land. Sarah's land had oil wells. Sample: "If that first oil well kept kicking.... eleven-year old Sarah Rector would be able to afford piles of playthings, clothes, and doodads, not to mention a bigger house for her family." Do you know someone who participated in a historical event? Ask this person for an interview. Find out what he or she thought while the event was going on. What details does the interviewee remember? 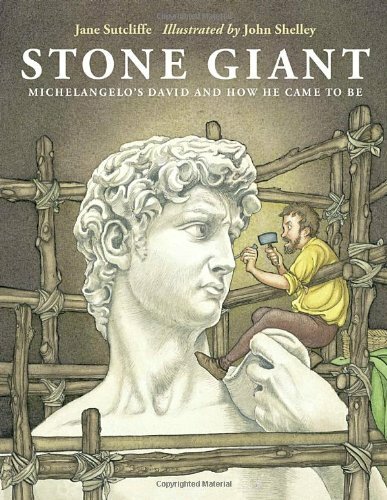 STONE GIANT by Jane Sutcliffe is a picture book biography of a statue: David by Michelangelo. The city of Florence had a huge block of marble everyone hoped a sculpture could make into a statue of David but no sculptor would take on the challenge, until Michelangelo. And it was a challenge. Jane has thoughtfully provided a teacher resource for this book. Let’s say that you want to write a picture book about a historical event but you have only the briefest information available. What do you do? You can follow the example of Barbara Krasner who wrote Goldie Takes a Stand: Golda Meir’s First Crusade. 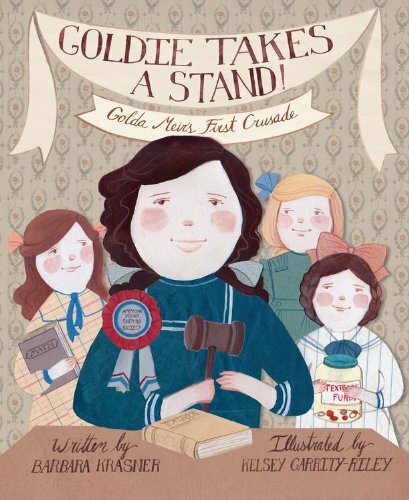 She wrote a book on an incident from Golda’s childhood. Poor children couldn’t afford books so Golda helped raise money for them. Barbara’s only documented information was a newspaper clipping. She invented first person dialogue, which makes this book biographical fiction. But still a learning tool. What does this tell us about Golda? That she was a take-charge person. That she lived in a crowded apartment. Take any historical figure that interests you. Pick an event from that person’s life. Write a skit imagining the conversation that could have gone on during that event. Answer these questions: Who else was there? What did the event accomplish? 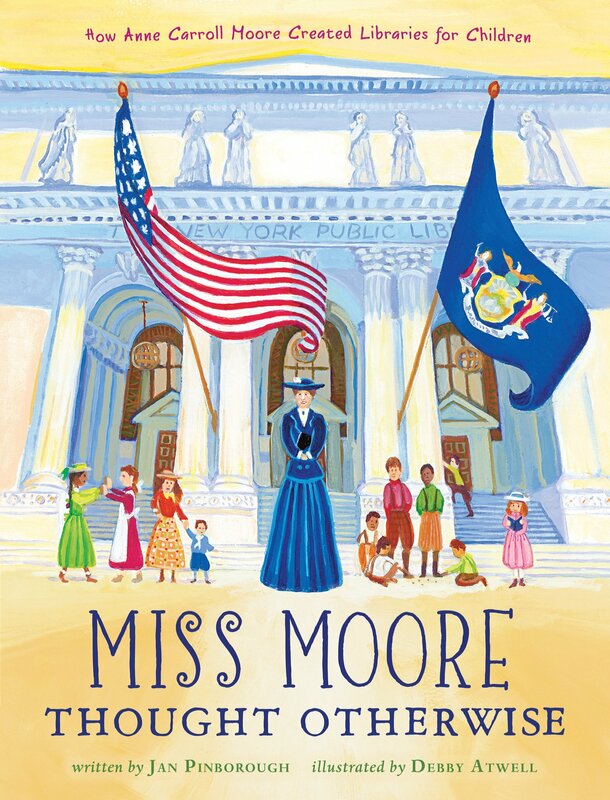 Anne Carroll Moore ran the Central Children’s Room at the New York Public Library and was responsible for making the children’s room inviting for the child patron. 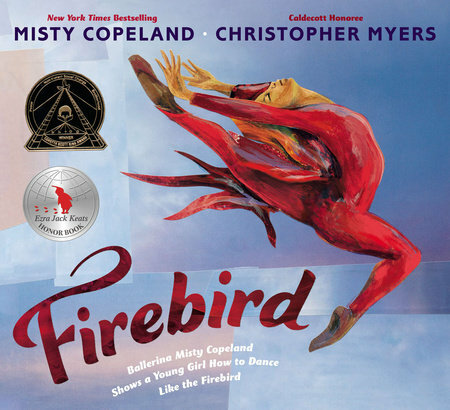 This picture book biography will introduce the reader to the important contributions she made. 1. Miss Moore had a wooden doll named Nicholas Knickerbocker she used during story hours. Pretend that Nicholas could talk and was interviewing a child who had just immigrated to the U.S. and was at his or her first story hour. What questions would Nicholas ask the child about his or her life? What country the child came from? What customs from that country did the child especially like? 2. These are Nicholas’s treasures. http://www.missmoorethoughtotherwise.com/#!nicholass_treasures/cwvn. Pick one and write a paragraph about one of them using the Who, What, Where, When of journalism.